Master Sommelier Greg Harrington spent his career overseeing some of the most prestigious wine programs in the country. Since passing the exam at 26 years old (the youngest person ever at the time) he couldn't get the idea of making wine out of his head. In 2004 he attended an event featuring the wines of Walla Walla and he was immediately hooked. He worked harvest that fall and in 2005 he launched his own winery, Gramercy Cellars. Since he didn't own vineyards of his own, he sought out the best sources he could find to make his wines. He also wanted grapes that weren't overripe so you wouldn't lose the distinctive terroir of Walla Walla. In the cellar he favors minimal handling, stem-inclusion, and light use of new oak, all to preserve the character of the fruit and the vintage. The resulting wines are restrained, balanced, and complex. They age well but also possess enough fruit to be rewarding when young. 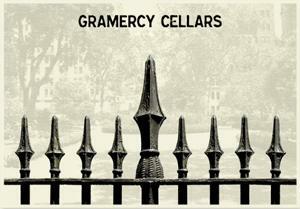 Gramercy Cellars was founded in the hope of capturing what first caught Greg's attention: the distinctive voice of Washington wines. With each vintage he further proves that it has been a success.